You are reclining on a hammock alongside the beach, sipping a cocktail and enjoying the summer sunshine, without a worry in the world. Sounds like a pretty awesome way to relax, right? But maybe not very realistic most of the time, unless you are lucky enough to live on a tropical island somewhere… but relaxation is important whatever our circumstances. 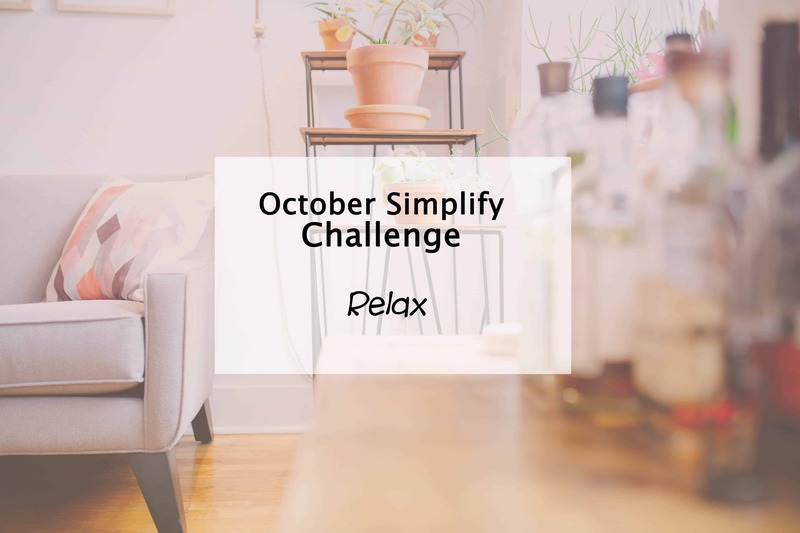 This month as part of the Simplify My Life challenge, we look at the importance of making time to relax. This means setting aside time each day and each week to do something that makes us feel good and gives us a chance to unwind and feel a sense of calm. What is relaxing for you may not be relaxing for someone else however, so you will need to work out what works for you. For me, a bubble bath and a good book is a great way to relax, or catching up on my favourite tv show. For you, it may mean taking a nap, going for a walk or sitting quietly and observing your surroundings. Take some time now to write down at least 10 different ways you like to relax. Once you have your list, work out when you can make time to engage in one of these activities on a regular basis. While every day would be great, it isn’t always realistic so a couple of times a week is ideal. However having a quick method of relaxation that you can do in 10 minutes a day makes that daily possibility more achievable, such as reading before bed. Start taking active steps to incorporate time to relax into your life. Relaxing is a priority, not a luxury! Make it happen and feel those stresses start to fade away, at least for a short while.